America's largest automaker is pulling paid ads from the giant social media site. NEW YORK (CNNMoney) -- General Motors said Tuesday that it will stop paid advertising on Facebook. The automaker says it will still be on the social networking site, it just won't be spending money to buy ads. "We regularly review our overall media spend and make adjustments as needed," GM said in a statement. "This happens as a regular course of business and it's not unusual for us to move things around various media outlets." GM (GM, Fortune 500) has fan pages for its various brands, such as Buick, Chevrolet and Opel, as well as for General Motors itself. Those pages will continue to be updated, according to the company. But the social media paid ads simply weren't delivering the hoped-for buyers, according to a report in the Wall Street Journal Tuesday. 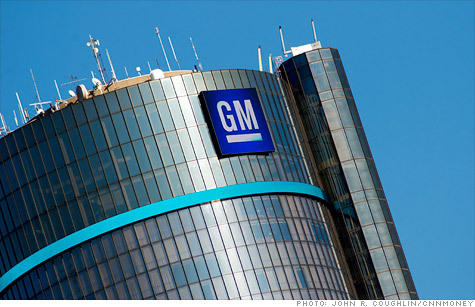 GM had been spending $10 million on paid Facebook ads, according to the Journal report. A spokesman for GM would not confirm how much money GM spent on Facebook ads. Facebook, also, did not immediately respond to a request for comment. GM's advertising represents a tiny part of the $3.7 billion Facebook brought in in advertising revenue last year, but the move does indicate that ads placed on the site have proven disappointing for at least one major advertiser. GM rival Ford (F, Fortune 500), meanwhile, says it is accelerating its advertising efforts on Facebook and other social media platforms. "We've found Facebook ads to be very effective when strategically combined with engagement, great content and innovative ways of storytelling," Ford spokeswoman Kelli Felker said in an e-mail. Facebook will soon launch an initial public offering.